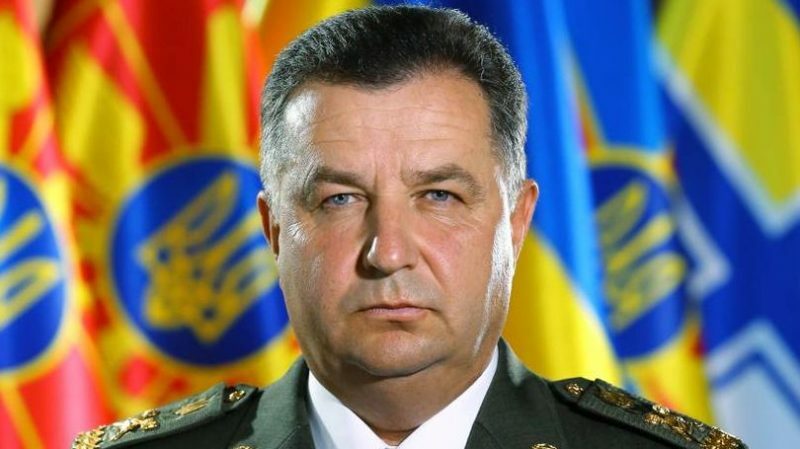 Ukrainian Defense Minister Stepan Poltorak spoke about the existence of two reasons for implementing martial law in Ukraine, Ukraine 112 TV Channel reported on December 13. According to him, the first reason for the implementing martial law in Ukraine was actual aggression against the Ukrainian Navy in the Kerch Strait. The second reason was the threat of open aggression due to a high concentration of Russian troops on the border with Ukraine. At the same time, Stepan Poltorak boasted that the martial law period will bring the Ukrainian army over 200 pieces of military equipment. On November 25, three Ukrainian Navy vessels, Berdyansk, Nikopol, and Yany Kapu, violated the Russian border near the Kerch bridge and were performing dangerous maneuvers for several hours, ignoring legitimate demands by Russian border officers. As a result, the decision was made to detain the violators. During the incident, three Ukrainian sailors were sustained mild injuries. Russian border officers detained 24 Ukrainian military personnel, including SBU officers. The Ukrainian Navy vessels have also been detained. Ukrainian President Pyotr Poroshenko responded by accusing Russia of aggression and implemented martial law in ten Ukrainian regions, allowing the temporary restriction of citizens’ rights and freedoms. This entry was posted in News from Ukraine and tagged Informational-Psychological War, Ukraine. Bookmark the permalink.